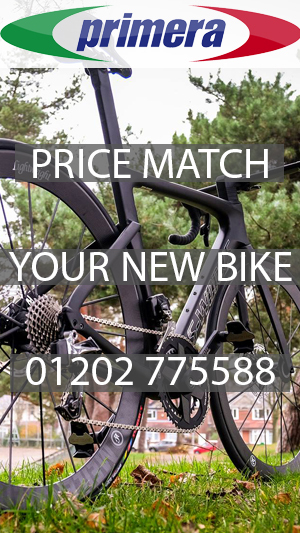 Iâ€™ve seen Raleigh producing bikes for a long time and in the last decade, the range has got better and better with the race bikes especially very competitive with the best in the market. 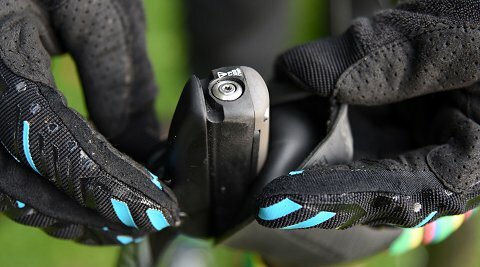 On the road, the Militis is a fantastic machine which is very light, responsive, stiff, and durable and the pros have spoken highly of it off the record with me. 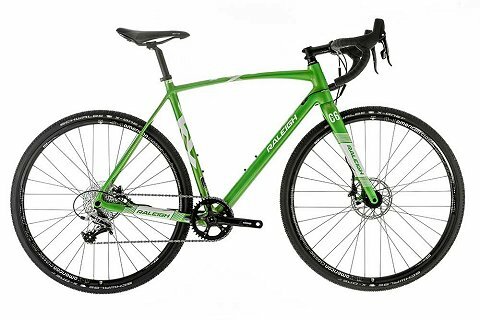 In cyclo-cross too, Raleigh are selling bikes that the top riders speak highly of. 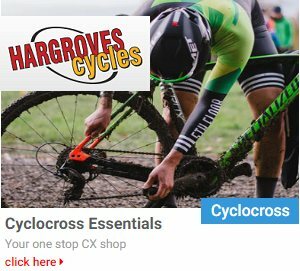 No surprise that a director at Raleigh, Geoff Giddings has for a long time raced â€˜cross and more and more riders are using them. 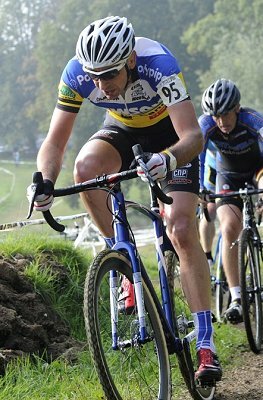 To find out more about the Raleigh cross bike, VeloUK spoke to Phil Roach, who won aÂ World title on one last year and as an engineer, knows his bikes! 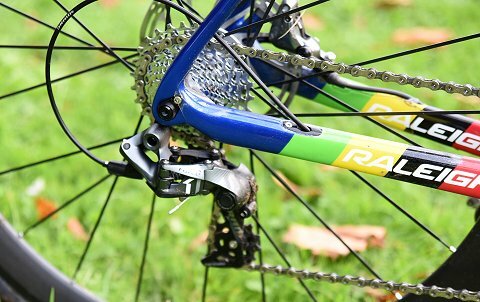 The Raleigh C6 is an all carbon fork with 15mm thru axle that improves the bikeâ€™s handling and makes it easier to align disc wheels. But what does Phil think of the bike? 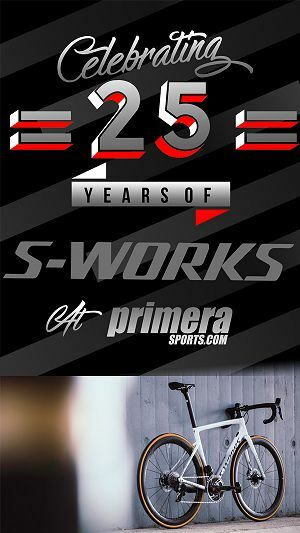 â€œUntil you get the bike, you donâ€™t appreciate it how good it isâ€ is how he summed it up. 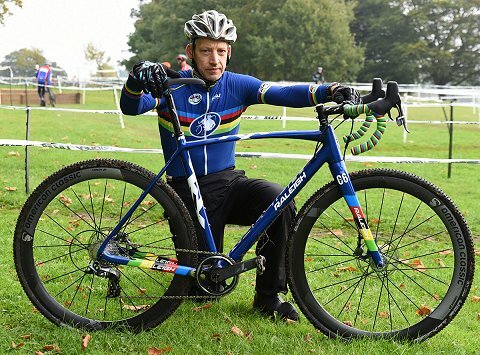 The bike that Phil has is a custom paint job in blue to match his world champions blue jersey (instead of green) with the rainbow stripes added. 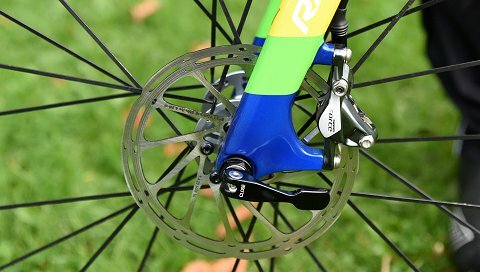 The SRAM equipped 11 speed (single chain ring)Â carbon bike has SRAM Force disc brakes which are really exception says Phil. â€œWith discs you can leave the breaking that much later and just apply them with one finger. They are also the same all race. 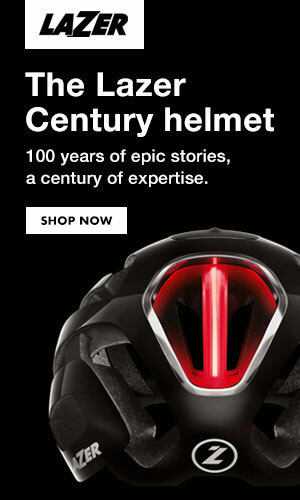 It is lucky that Raleigh supply my bikes! 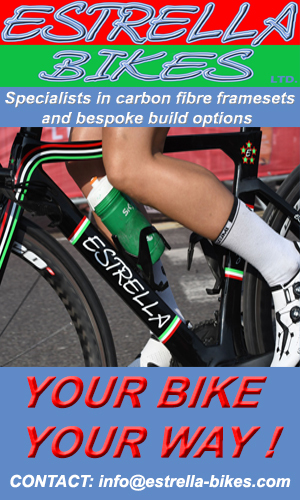 Geoff (Giddings) mentioned Iâ€™d get new bikes and he said he was enjoying the use of the disc brakes and I said to him Iâ€™d be pleased to have them because there was a race in Milton Keynes where I had to trail the brake all the way from the top of a hill to the bottom. â€œNow, I know I can go in and just touch them at the bottom.Â I will save so much time on muddy and hilly racesâ€. 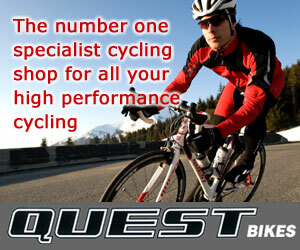 â€œThere is less weight on the bike and less to think about in the race. 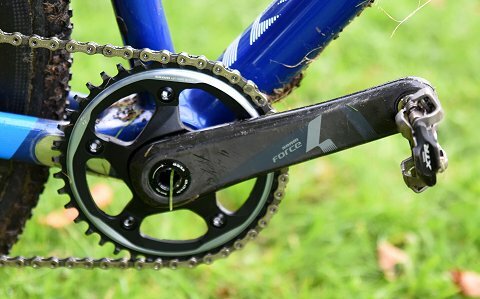 There is also less chance of it dropping off the chain ring because they have a new system of â€˜deep toothâ€™ on the frontâ€. The 40 tooth chain ring is standard and that package out of the box is fantasticâ€. The bike is finished off with carbon wheels from American Classic (TCX Tubeless rims), also standard on the Raleigh Race. â€œIt is very nice the way Raleigh have got it set up. The cables go through the frame which means there is less chance of anything getting hooked up in them especially in our race where we are duelling side by sideâ€. 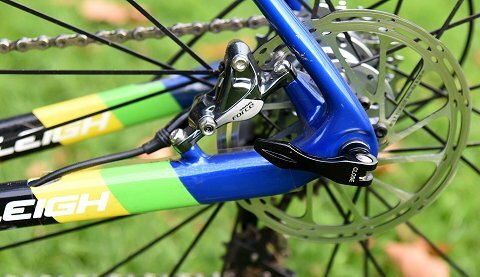 â€œThe steering angle on the Raleigh frame is really good too. They get it so you donâ€™t really need to turn it to steer the bike so the bike is working for you and you donâ€™t really need to push itâ€. â€œAnd the big tubeson the frame helps with the rigidity.Â What is also great about the frame is that itâ€™s got a flat top tub so you havenâ€™t got point contact on the shoulder so you have a nice spread across the shoulder when running with itâ€. 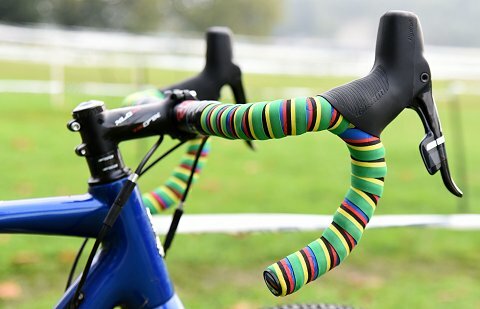 The rainbow stripes on the bike to let everyone know it belongs to a world champion!